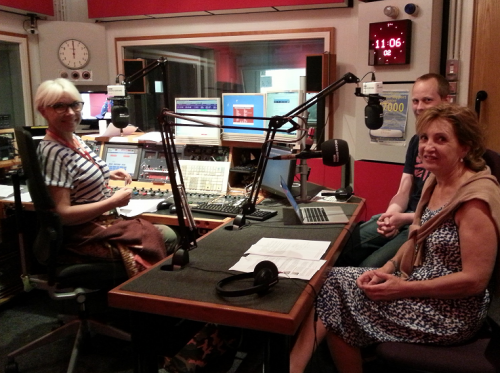 On Monday 29th June Vivien Morgan, CEO, and Dominic Furniss, Restore’s Deputy Director of Research, had a live interview with Kat Orman on BBC Radio Oxford discussing the history of Restore as well as the ongoing research which is being supported and funded by the charity. This gave Vivien and Dominic a fantastic opportunity to inform more people about the vital work Restore is carrying out, as well as advertising the drinks reception at Winslow Hall in aid of Restore, prior to the Opera performance which took place on the 17th of July. Pictured is Vivien, Dominic and Kat in the BBC Radio Oxford studio. The interview will be available on the BBC Radio Oxford website until the end of July.